For the littlest ones - the Light my Fire Spork Little! Designed specifically for kids, this spoon-and-fork hybrid does not have the serrated edge like the adult model. Plus, the design as a whole is rounder, and the material is somewhat thicker. That way, you won't have to worry about your child getting hurt, and the spork will fit perfectly in your child's hands and mouth! The durable spork is not only lightweight and easy to store, but also dishwasher-safe, heat-resistant and can be used with Teflon. 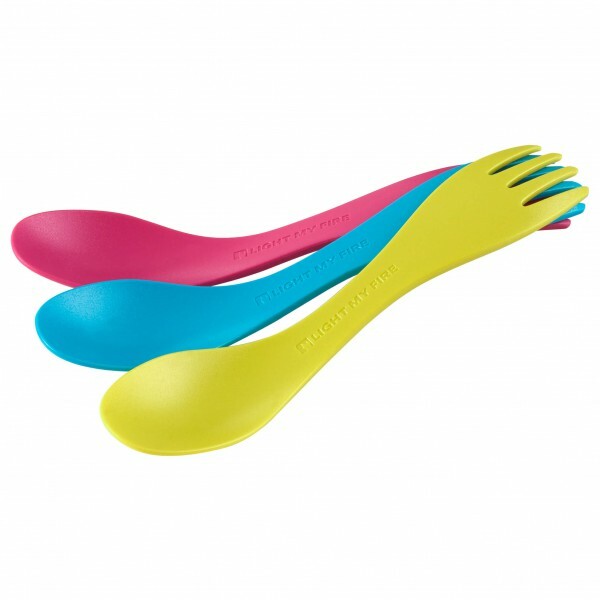 Perfect for little campers, picnickers and outdoor fans - the Spork Little!